We are specialists who work at varying heights offering full turnkey building maintenance and conservation services. 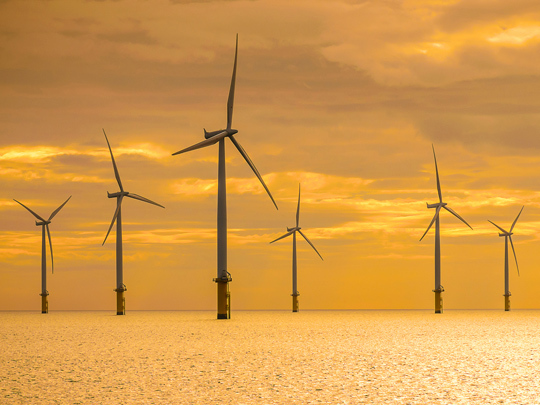 With almost 50 years of experience our skilled teams carry out inspections and do roofing repairs, stone pointing, restoration, Lightning Protection Systems, Radome Installations, high level cleaning & maintenance and have successfully transferred skills to service contemporary energy and telecoms clients. Nationwide inspections carried out Free of charge and without obligation. We design, install, test and certify lightning protection systems to the BSEN standards with careful planning and taking into consideration the character of each building. The BSEN62305 is a code of practice that provides a risk assessment and design criteria that we strictly adhere to. This code determines the level of protection relevant to your particular structure and the services it provides. Our experienced staff are proficient at working on all matters of restoration. 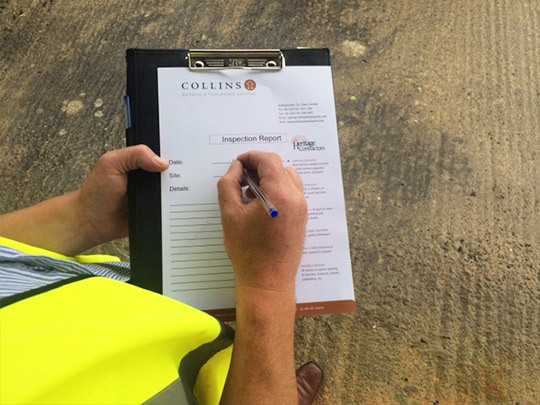 We liaise with Architects, Engineers and local Conservation Officers to ensure best practice is carried out. Our services include, natural slating, cast iron rainwater goods, lime pointing, leadwork, joinery and storm glazing. 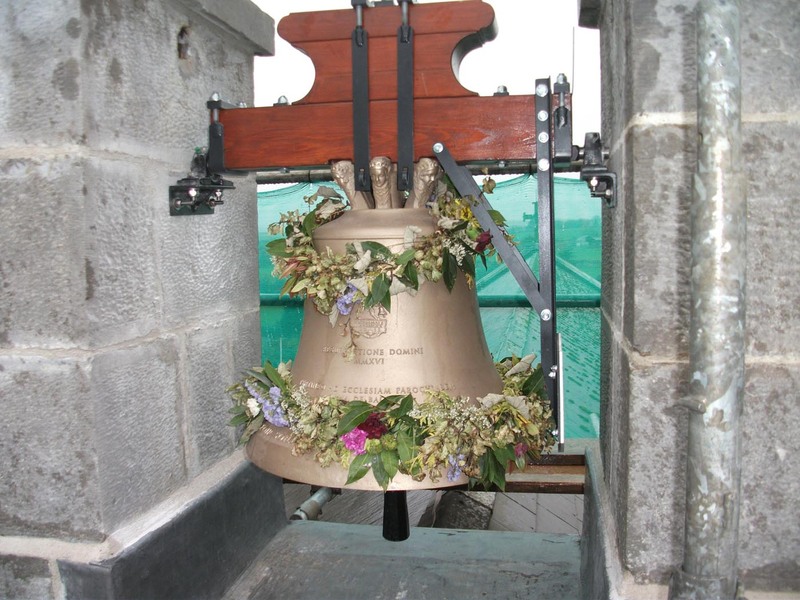 Bells and Crosses can also be repaired or replicated. We carry out repairs on natural slate, tiled, torch on felt and lead roofs. 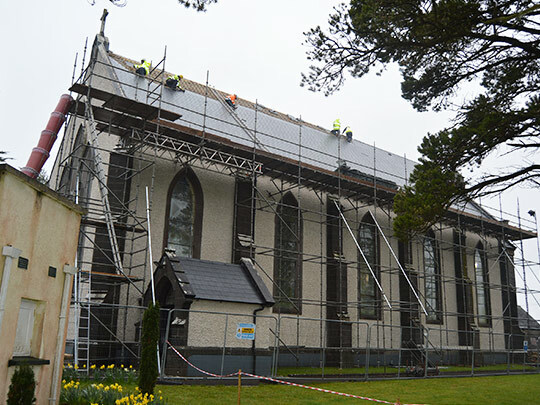 Our services take in localised repairs caused by high winds or complete re slating of roofs. We look at the broader spectrum and can recommend annual preventative maintenance programs to deal with repeat issues e.g. moss removal, gutter cleaning and inspection of lightning conductors. We also install bird deterrent systems. 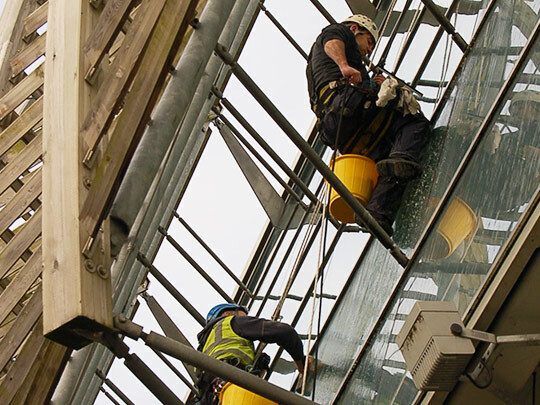 Our means of access can avoid the high cost of scaffolding and mobile hoists in most circumstances and our crews can mobilise at short notice in the case of emergency works. 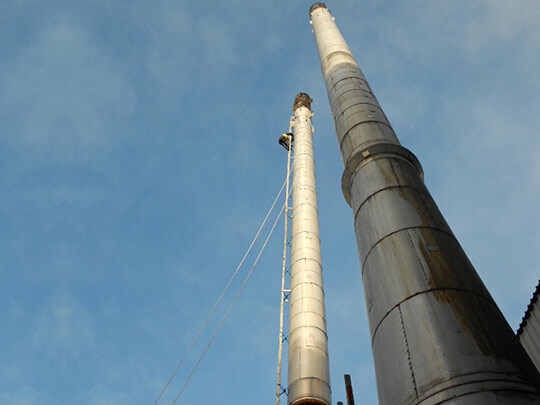 We inspect industrial chimneys and supporting steelwork. Annual monitoring of the degradation of the steelwork prevents any unplanned outages and downtime. Visual, physical and ultrasonic testing provides a knowledge of the condition of the steel, cladding, welding joints and holding down bolts. Our abseil access techniques allow us to access difficult to reach places. This enables us to clean and repair glazing on modern structures such as universities, libraries, stations and offices. 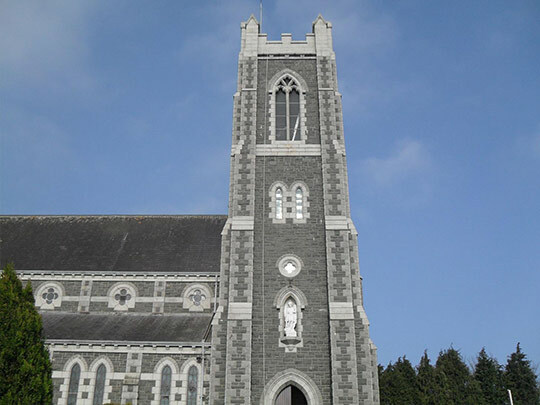 We also undertake storm glazing works on ecclesiastical buildings to protect the ornate stained glass windows. We undertake repairs to all types of stonework. This entails lime pointing of mortar joints, typically found on spires, towers parapets and pinnacles where water ingress occurs. We clean stone and repair where necessary by grafting or inserting stainless steel dowels to retain their integrity. We remove vegetation from stonework which can also be a source of water retention and is unsightly. 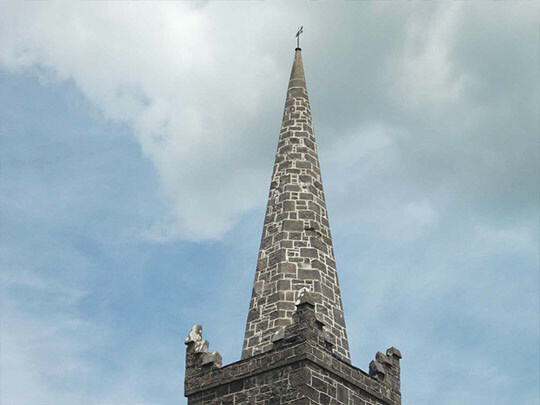 Ornate stone crosses and pinnacles can be replicated or repaired in situ. 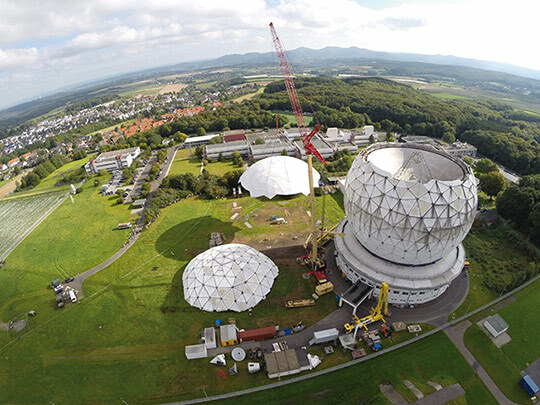 We have been installing radomes worldwide for almost 50 years in over 80 countries, regularly operating on extremely challenging sites. We install, inspect, repair and repaint radomes to prolong their service. Our services also include replacement of aircraft warning lights and testing of lightning protection systems. 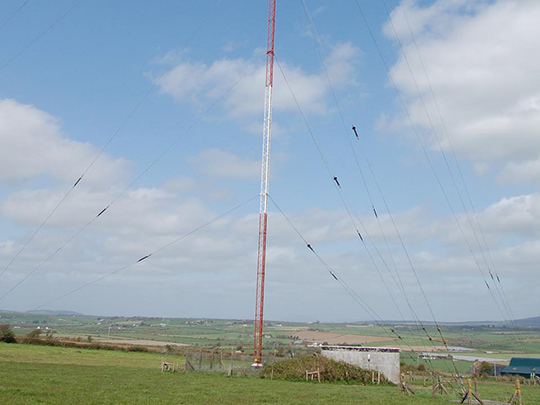 We inspect, repair and repaint masts and towers. We test the integrity of the steelwork, holding down bolts and guy wires. We install and test earthing points.